Our Christmas Contest Officially Begins November 1st, 2018! 2. The contest is open to all current and prior ECP customers. 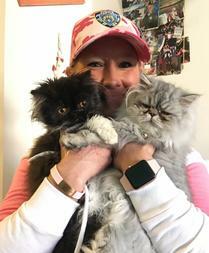 Each client is allowed three entries, the first entry will be in the client’s name, the second and third entry must be that of a friend or relative desiring a Persian. 3. 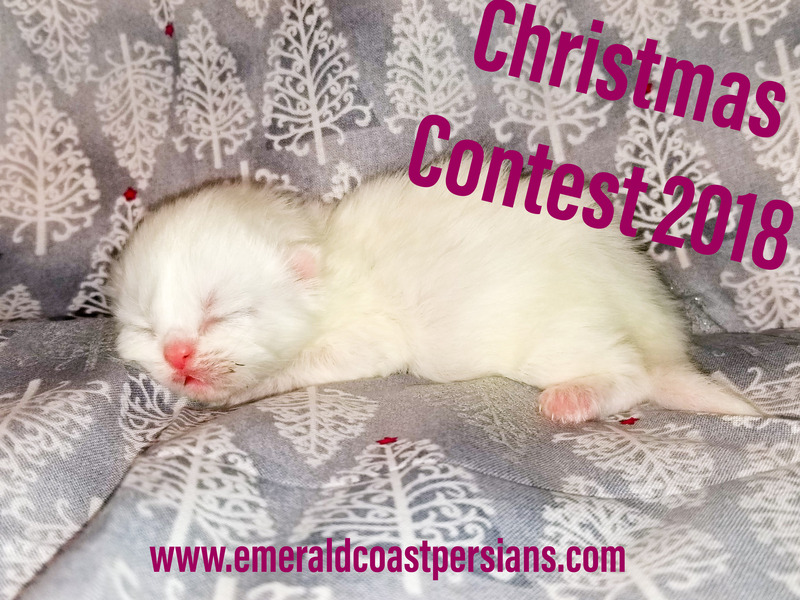 To enter you must send an email to contest@emeraldcoastpersians.com In the subject line please write Heidi’s Christmas Contest 2018. In the body of your email please include your name, address and telephone number. One email per entry, a total of three emails per client (you must include the name, address and telephone numbers of your two nominees). 4. Winner will be responsible for kittens transportation home. Congratulations to our 2017 Winner Mindy! Mindy Manire is our 1st winner, she is the mother of Kensington and our Hudson. She won our St. Nick, now known as Harlem.